This wool blend felt collection is the perfect answer for those of you wanting to take the guess work out of color coordinating your creations! 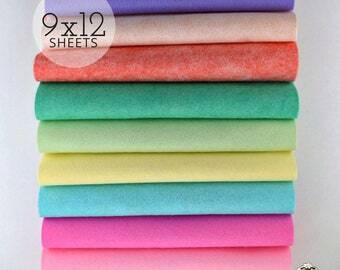 This gorgeous felt offers superior quality at an economical price. 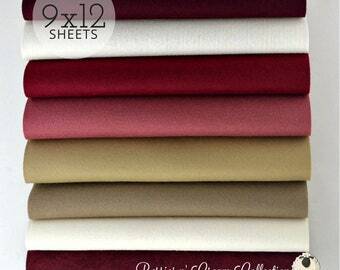 This is for a collection of 10 large sheets of wool blend felt measuring 12" x 18"
♥♥♥♥♥♥ Want that sherpa-like, soft, snugly, fleece like felt with this wonderful natural wool fiber-blend? Follow this link to our Tutorial on how to achieve that look. 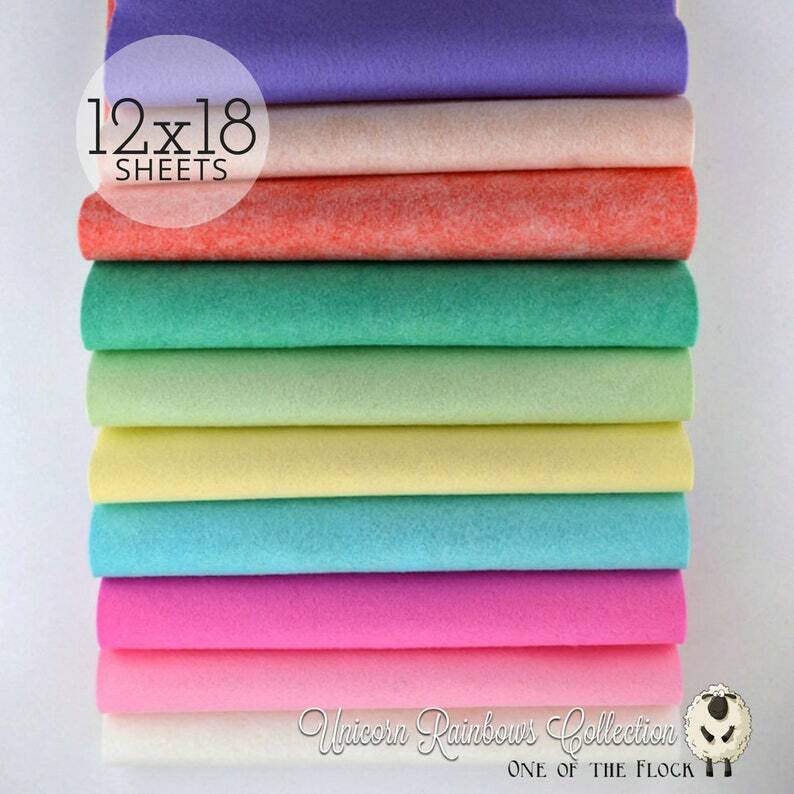 ♥♥♥♥♥♥ Purchase an 18" x 12" felt collection and GET THE TUTORIAL FOR FREE.